Our Sudbury/North Bay EverLine location provides professional, high quality road marking services to all of the surrounding communities. We use premium materials and equipment and can work within your business’s budget. 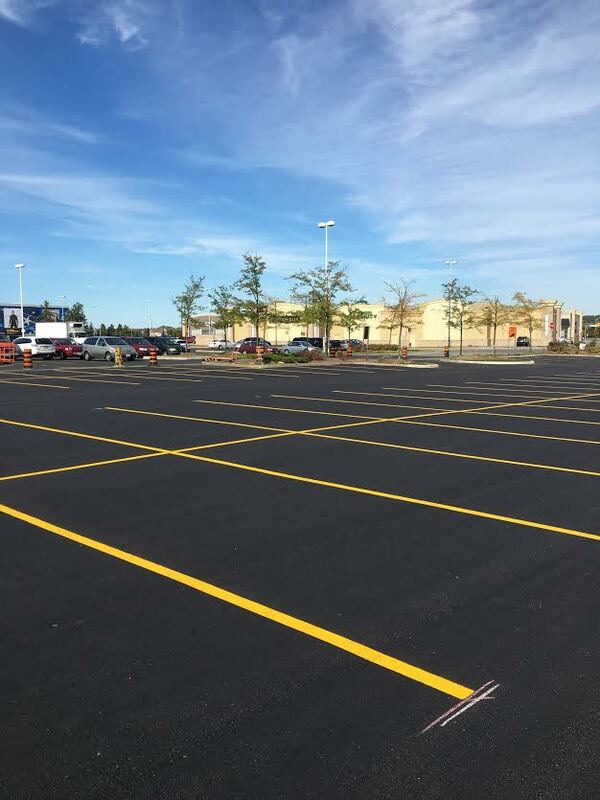 EverLine Coatings and Services is ready to assist you with all of your outdoor line painting needs for parking lots and roads in North Bay, Sudbury and the surrounding areas. 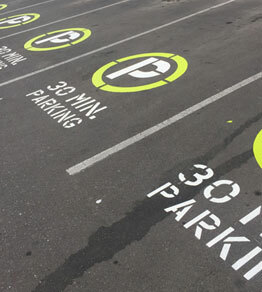 At EverLine, we began our operations as specialists in outdoor parking lot line painting. In our decades of experience, we have acquired the knowledge and equipment to perform any road marking job you need completed. Our Sudbury location employs multiple road marking crews which enable us to work on several business locations at the same time.This also enables us to ensure that the line painting projects are completed on time and that we can complete your project with short notice as well. In the situation that you require your outdoor parking lot line painting to be done immediately and professionally, we are ready to serve you. We proudly offer North Bay and Sudbury businesses high quality work at one of the best prices in the industry due to the fact we are one of the largest paint buyers in Canada. Please contact our Sudbury office directly for more information on our outdoor parking lot line painting services. Why Choose Everline Coatings and Services? At EverLine Coatings and Services, giving the customer the best quality services is a priority, we constantly innovate our services to serve you better and we always answer the call. We use quality line painting products and equipment and our professionally trained crews perform every job. At EverLine, we always put our best foot forward. We strive to provide the best quality services we possibly can. That being said, we are proud to be a well staffed and equipped line painting company that maintains a small business mentality towards our services. The EverLine advantage comes from our unmatched multiple crew approach. This enables us to provide line painting services to multiple locations at the same time. It also allows us to provide our line painting services to businesses who may need them right away. If your business needs a line painting project completed immediately we can handle it. At EverLine Coatings and Services, we are considered line painting experts. We are able to back up that claim with the many happy customers we have been proudly serving for decades. Regardless of how complex the road marking services you need could be, we can pretty much guarantee we have done it before and we are ready to get the job done. Are you in need of some repainting services? We are able to repaint all kinds of parking lot lines, curbs, stencils (all types and colours), crosswalks, stop bars, arrows, handicap spots, you name it, we can repaint it. Looking to revamp the layout of your parking lot? This is our specialty, we’d love to help. Our many years of experience allow us to help you plan your new layout effectively and execute it with EverLine quality and professionalism. Our new parking lot layout projects always look fantastic and exceed client expectations. What about roads and streets outside of parking lots? At EverLine we can paint or repaint it all. We have experience painting and repainting municipal roads and streets as well. Street markings, crosswalks, stop bars, arrows in intersections, customized stenciling and signs, you name it, we can paint it. EverLine is your one stop shop for all of your ground marking needs. If you will be receiving our line painting services in the near future, there are a few steps we ask you to undertake in preparation before our crew arrives. Ensuring that the parking lot we are painting has been swept is important, at EverLine we also provide parking lot sweeping services and can help with this. Following these steps will ensure the safety of our crews for timely service that is free of interruptions.